Are you a app developer in need of a theme for your iPhone app, web apps or computer software? After spending the time to build up and perfect your awesome App, its time to unveil your baby with a bang to your potential customers through a perfect app showcase. But we all know how creating an awesome and professional eye-cacthing app showcase website that brings to focus your product in a way that does your product justice is a whole challenge in itself. Afterall, to effectively promote your app in the right style with the right content and layout is essential to branding and marketing your app. Luckily many top WordPress authors and developers have created some of the best wordpress app showcase themes that run on the WordPress engine. These app showcase themes are noted for their design, style, functionality, and way that your app and content is presented to customers. We keep an eye out especially for multiplatform enabled themes with great customizability. Now you’ll never need to spend too much time on website design especially given the easy of content management and website development that WordPress enables. In this collection, we have uncovered and are showcasing some of the best showcases for App themes perfect for App Developers – helping you to quickly build an awesome showcase for your app via WordPress. Hope you will love it! iFolio WordPress theme is a hugely powerful theme to represent your activities like apps, projects or any other portfolio items. You can integrate and promote your apps from iTunes app store. 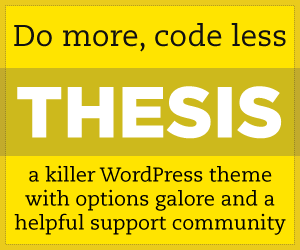 Theme Framework lets you manage all key features and options and easily update theme in future. You can control everything on your homepage and create unique look. This theme is super easy to install and configure. Music is a beautiful WordPress theme built for artists, events, portfolios, photographers, and even apps. It is packed with a lot of features to help you quickly set up a well-designed, professional website. Our flexible framework provides complete control, allowing users to customize the theme without having to write any code or edit templates. Music is responsive and retina ready. With Music, you can embed a music player, an album playlist, and even better – fullwidth video backgrounds! Create eye-catching pages with your own videos playing behind your content. Use our tools to change theme options, design the look and feel, and even control your content layout. Also, you can build an unlimited number of page layouts using drag & drop. Music offers Ajax Navigation which allows users to browse your site while having the Audio Dock on continuous play. One of the most requested features for Music is fullwidth video backgrounds that allow you to upload your own videos and have them auto play as soon as a visitor lands on a section. Music includes various custom post types and tools to create a website related to music, whether they’re artists or bands throwing an event or concert, or just building an app. Divi is an ultimate WordPress Theme and Visual Page Builder to build anything visually. Divi is the most versatile theme, you can build just about anything. Divi is an amazing tool for start-ups that want to build their own website. DIVI is wonderful for business, personal, multimedia, portfolio, e-commerce, such as App, modern interiors design agency, cafe shop, much more. Divi is the ultimate tool for web designers. Hundreds of thousands of WordPress freelancers and agencies are empowered by Divi to help run their growing businesses. BeMobile is a simple and top quality Mobile and Tablet Responsive WordPress Theme, it has all features, perfectly optimized, appstyled you will ever need for your mobile device. The theme can apply in a wide purpose, always fits the both personal site and a business site, you can use it for a page for marketing, a shop or just a page for fun, even if you have news to share or images to showcase. Using ProMobile, Be Mobile works with your existing desktop theme, and gives your mobile users the speed they deserve. Be Mobile is full localization support, so you can use it in any language you need. Fluid is a Responsive Apps WordPress theme, especially designed for app developer, startup, or any type of digital business. Fluid is fully responsive and Retina ready, to makes sure your website looks equally amazing on all devices and screens. It comes with 9 modern Homepages, and including Revolution Slider and Visual Composer Page Builder that you can more easier to customize the whole site visually and freely. It is compatible with a variety of useful plugins, to ensure you have everything you need for website. It offers WooCommerce plugin, which helps you set up online store the easy way. With Fluid, you can launch your Blog, present your portfolio. Experience Fluid today. Argenta is creative responsive WordPress theme for multipurpose use, it is carefully crafted for personal and corporate. Argenta is flexible and high performance theme, you can create beautiful and stylish pages without changing any of the code using Visual Composer plugin. Argenta is fully customizable, which allow you to enjoy all the possibilities in admin panel to express your own creativity. It comes with powerful plugins for your eCommerce platform, for building and modifying your projects. Argenta features portfolio functionality and versatile, as well as amazing blog layouts. Additional, the theme has many pre-made demos with different layout types, and also, you can choose the best header and navigation style for your needs from premade layouts to create gorgeous pages and layouts. District is a beautiful multi-purpose responsive theme to display a single app in a clear and interactive way. It is suit for businesses, artists and app developers alike. With responsive and retina ready framework, District has multitude of features that can be used for just about any product, no complicated shortcodes or Plugins required. It comes with awesome slider effects, multiple post styles, featured post videos, powerfully simple options and much more. District is great for showcasing app or product features in interactive way. KeySoft is a clean and creative WordPress landing page template to present and promote your start-up software or mobile app website. It was built with Visual Composer, responsive design, very easy to customize, layout styles, unlimited color, header and layout variations. KeySoft is special for software, start-ups and mobile apps. Stratus is a premium App, SaaS & Product Showcase WordPress theme, designed for App and SaaS companies, startups, product development companies, and businesses with a specific focus on lead generation, product and service showcasing. Stratus includes the latest version of Glyphicons (v1.9.2) and Master Slider. It is beautiful responsive design, retina ready and touch optimized,full WooCommerce support and more important features for show up your business. BuddyApp is a Mobile first community WordPress theme that is best for any kind of Private or Public community, Intranet or Extranet websites. With a Creative design and built with Mobile optimized, Retina ready and easy to use on any device. Fully Featured and Plugin integrations : live notifications, customizer, site-wide search content, live chat, allowing users to share your community, allow users to create media albums, upload image, video or audio files. BuddyApp help you run any kind of social network, as well allows you to build a site standing out from the crowd. Startit is a fresh Tech & Startup Business WordPress theme. It comes with fully featured and complete package, you will be able to launch your website just one click. Startit looks awesome on all devices and with high density retina screens with fully responsive and Retina layout design. It comes with free Visual Composer and Slider Revolution, Via po/mo files for any language translation. Startit is compatible with WooCommerce, SEO optimized, add 600+Google Fonts for typography control, Contact Form 7 Integration, Full Screen Select Slider with parallax functionality, Video Background Sections, Blog templates, Portfolio layouts and much more. StartIt has a large collection of powerful options that give you complete control over every detail on your website. PixelPerfect is a responsive, retina-ready landing page WordPress theme which can have many uses especially suitable for mobile apps. KLEO is a flexible and feature-rich premium WordPress Theme bundled with some powerful plugins such as BuddyPress, bbPress, Facebook Membership Subscriptions and many more. The theme is perfect to setup social newtwork sites on WordPress platform with the help of bbPress or BuddyPress. Built with Twitter Bootstrap3, KLEO is fully responsive that fits on any mobile devices. The Drag & Drop Page Builder even makes KLEO more unique. Tapptastic is a responsive App WordPress theme that is best for a mobile application website. All mobile App developers are able to promote iPhone, iPad or Android Apps with it. This mobile WordPress theme will allow users to enjoy the same remarkable experience for desktops, tablets and smartphones. Cayse is a premier responsive showcase WordPress theme and application landing page with great features. It’s the perfect way to show off your amazing application for any mobile device. Neue is the newest app landing page WordPress theme, a stunning app showcase. It is thought- out designed with amazing features even more amazing support. It looks great on any device. Paralx is a responsive mobile app landing theme for WordPress. The theme is designed with many features that can help you to showcase your beautiful App and provide direct download links to App Store, Google Play or Windows Marketplace.